There seems to be a bit of confusion surrounding the release date for Assassin’s Creed Odyssey Update 1.1.4, which will feature the much coveted New Game Plus mode. Despite there being only one week left in the month, the title’s February 2019 update has yet to go live. It’s still coming, though, according to the franchise’s official Twitter page. Unfortunately, it won’t launch until the last week of this month. The Assassin’s Creed Twitter account addressed the conundrum, when asked by a fan if the new update would release this week. “Nope, next week,” was the only answer provided. Unfortunately, specifics such as what day the update is scheduled to go live remain a mystery. 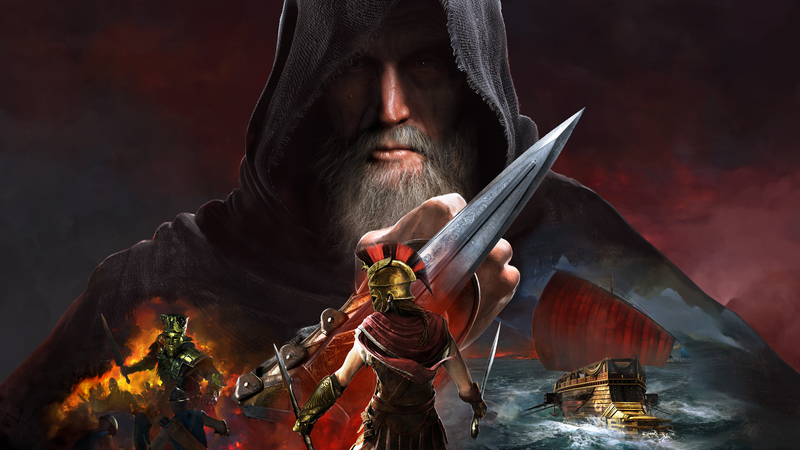 New Game Plus will allow players to restart their AC Odyssey experience, while carrying over their drachmae, gear, skills, and stats. In restarting, players will also get to choose whether they want to play as the other character. But the February update features more than the addition of New Game Plus. A new story mission, “A Brother’s Seduction,” is incoming, too, so are a fresh batch of items in the Wild Boar Character Pack and the Deep Sea Hunter Pack. While the latter will drop on February 26th, the Wild Boar Character Pack is already available for use. Both packs grant players access to a new gear set, weapon, and mount. In addition, the February update is set to include a level cap increase, new fast travel locations, additional mercenary tiers, and a host of other smaller changes. With the month winding down, here’s to hoping a solid release date for the update will soon receive an announcement.